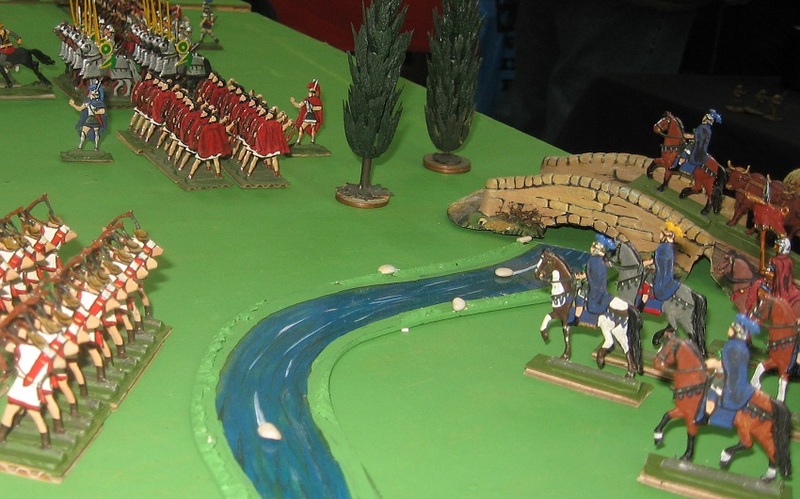 But John Curry (History of Wargaming) asked me to take the Tony Bath game to what is his home club's show. 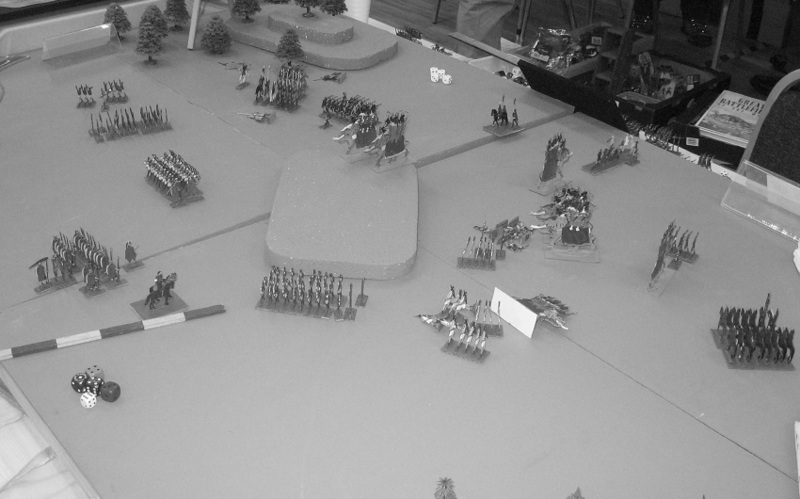 The set up was pretty much as in previous outings although we changed the deployments somewhat. 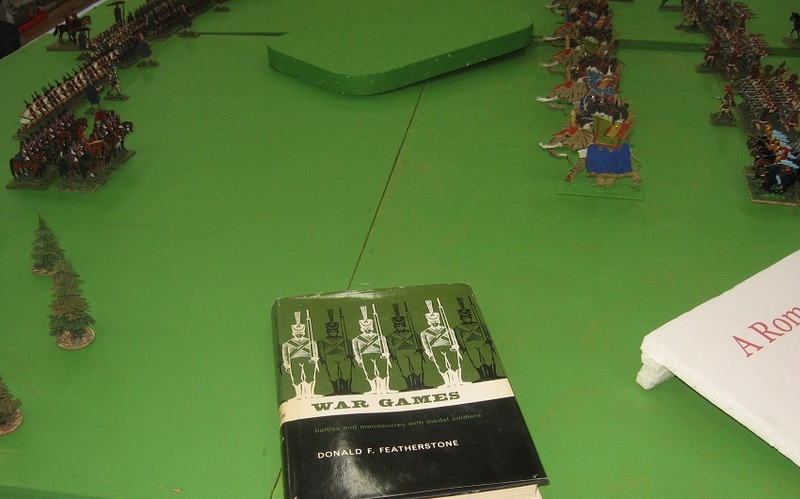 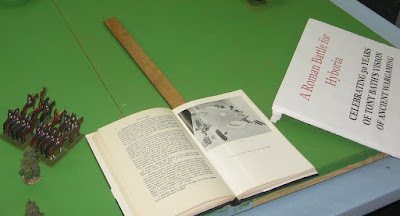 And we played to the version included in Featherstone's War Games. 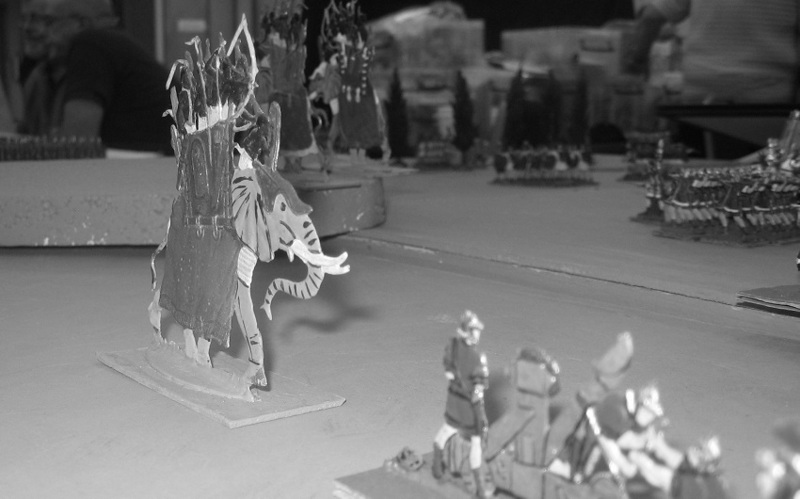 (1960's style ... with Wayne Thomas ... ) ..
My elephants took multiple hits from massed archery as they tried to dominate the centre of the table ... They survived but were unable to move ... then one of them went berserk - right at my lone stone-throwers. 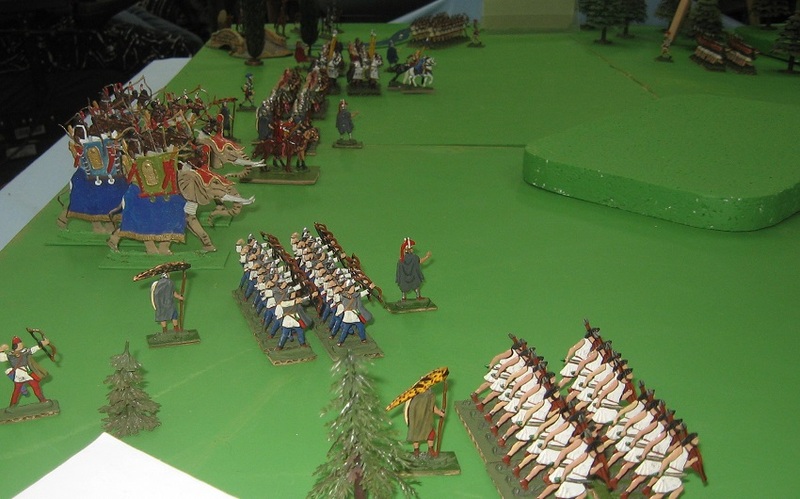 Wayne's, however, ploughed through several as I did hits but they didn't fail to save. 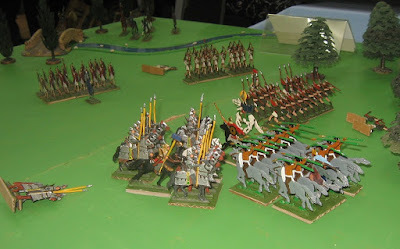 One of my units, indeed, failed to stand (and got trampled). 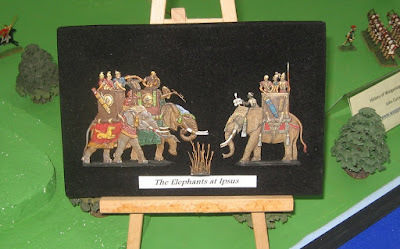 Although we had some flights and breakthroughs on both sides, the elephants decided the day however (well, that Wayne did well with his saves and I didn't meant I could not stop the rampaging beasts) ... 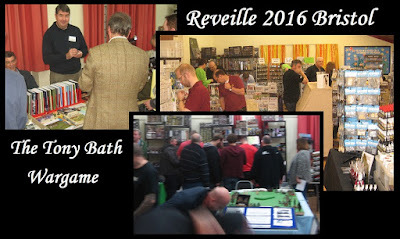 Very much the flavour of the Bath ancients game. Well I confess I am a bit rusty so the game needed a lot of looking up (and there were some bits we didn't do quite right) - but it was quite a good run through and fascinating to see the progenitor of so many ancients sets. 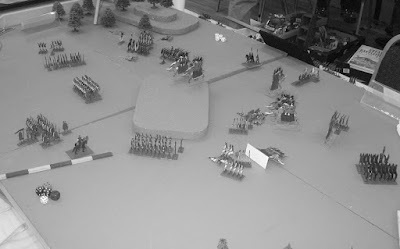 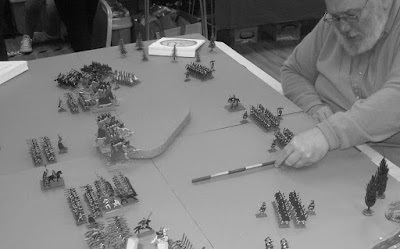 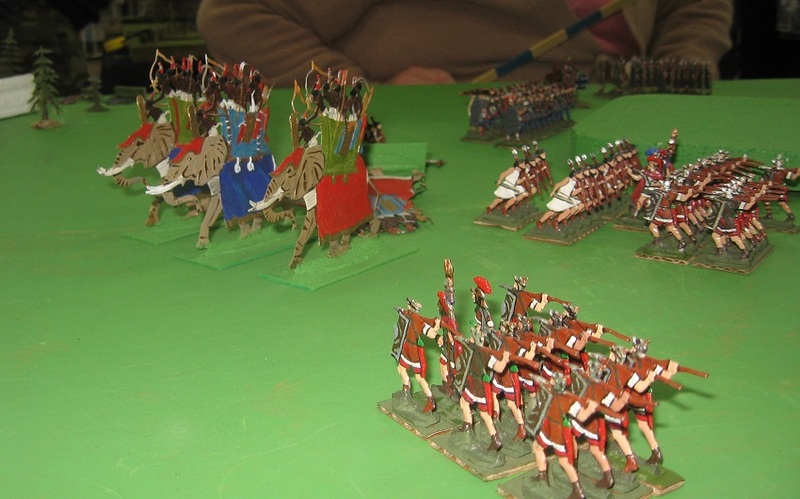 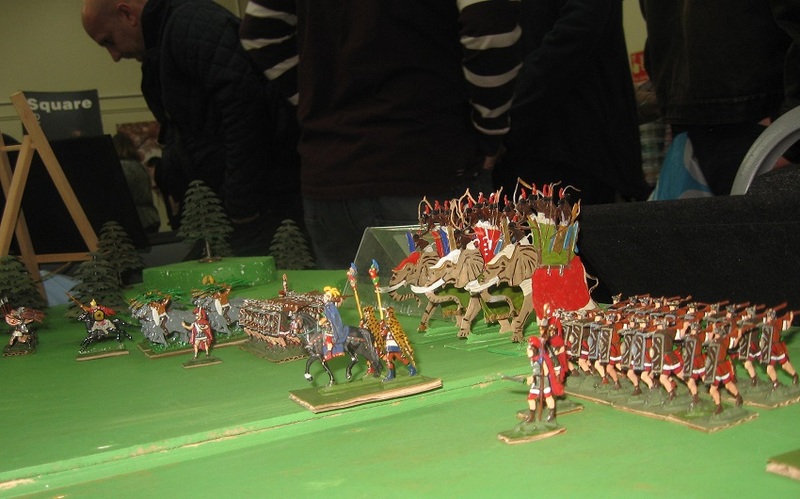 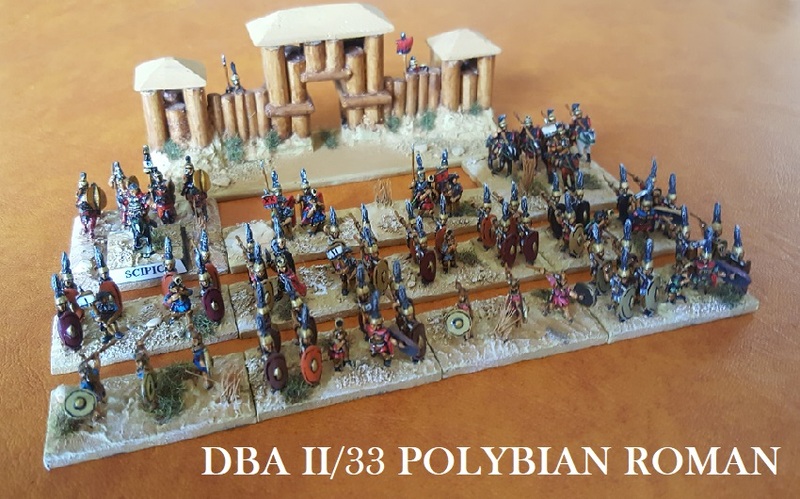 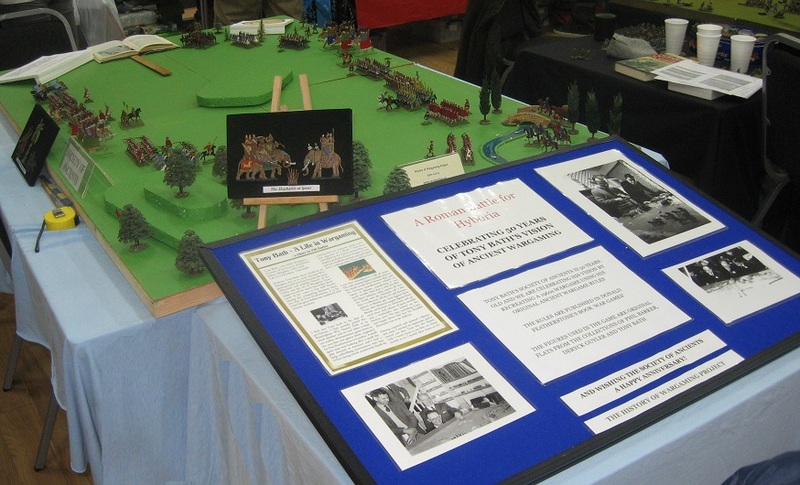 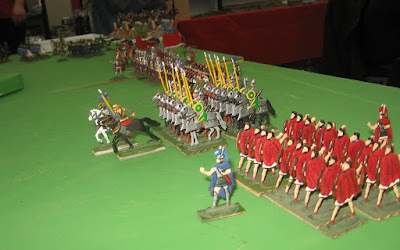 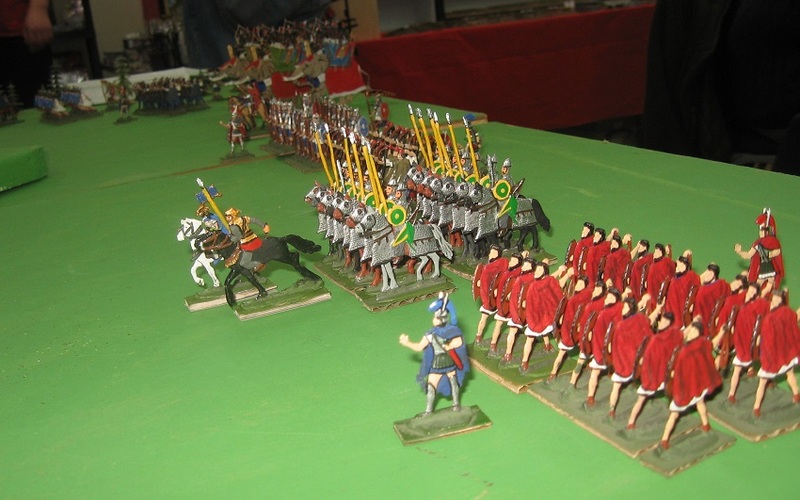 Many thanks to the Lincombe Barn club ... to JC for setting it up ... Wayne for volunteering to help me play the game ... and all those fellow enthusiasts who share my nostalgia for this traditional soldier and for Tony's original ancients game.